Online ordering menu for Khan Toke Thai House. 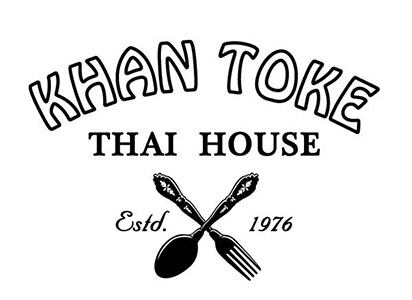 We serve a large variety of Thai cuisine here at Khan Toke Thai House in San Francisco, California. Our menu features everything from Thai Soup and Panang Curry to Clucking Chicken and Lamb of Siam Kebab. We're located south of Baker Beach at the corner of Geary Blvd and 24th Avenue. We're near Golden Gate Park and Lincoln Park Golf Course. Order online for carryout or delivery!